The garage door is usually the largest moving part in your home and is probably used every day. With normal use, garage door parts can wear out and break, creating potential safety problems. increase the life of their door. Check the garage door springs, rollers, hinges and safety devices to be sure they are fastened securely and in proper working order. Check the balance of the door by lifting it a few feet off the ground and releasing. The door should not travel more than a couple of inches in either direction. If the door drops to the ground then your garage door springs either need adjusting or replacing. our Experienced technicians to repair your garage door. Replacement of garage door torsion springs. Replacement of garage Extension springs. Replacement of garage door damaged Sections/Panels. Replacement of garage door Cables & other parts. 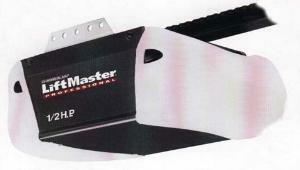 Garage door openers repairs & Replacement. 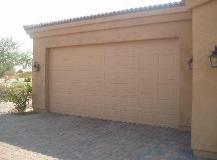 All other Services related to garage door. door drops to the ground too fast. Door closes half way , then reverses back up. Bottom of door is uneven. Door closes only if you hold in the push button. garage door sticks when opening or closing. Broken rear support for upper track. Door will not close all the way . Loud noise before the door stops working. Opener hardly opens the door. controls will open the door,but will not close it. Field Service Technician to you location. glass in a timely manner, anytime day or night. Most Garage Door Repairs will be done the same day. We provide service to Broward & Palm Beach County.